SEO friendly images are vital for small businesses. One way that the small businesses can improve their business website is through images. Images play a vital role in pulling more traffic to a website as well as converting leads. 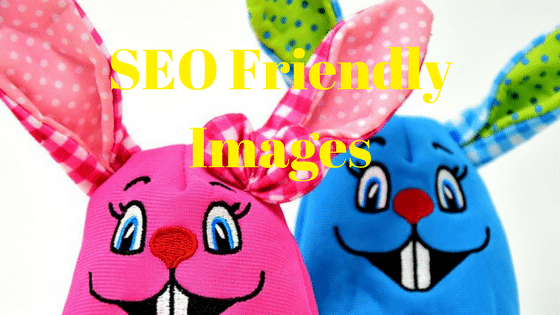 This post will suggest 4 ways to create SEO friendly images to help improve SEO. Your image tags can play a vital role in getting both Google and your site visitors to take note of your images. Possibly one of the easiest ways to boost your search engine optimization is to update and optimize your image tags. When a site visitor hovers over an image a flag will pop up with a description of that image. If your tags are not optimized the description may simply say something like “image 1″. Optimize your SEO image names so that the description supplies both Google and your visitors with a little extra information about each image. Googlebot will be able to use the information to decipher which category/search results to include that image/page content in. Although your SEO friendly images should be optimized for search engines, it is people who will be doing the purchasing. Always bear in mind that your customers will be viewing your images and they need to appeal to them. Here are some tips to bear in mind when optimizing images. Relevance – Keep the images relevant to the headline and text. Size – Use images that are big enough to capture and hold the visitor’s attention. A nice big picture inserted into a text will break up the text and help the reader better understand what the text is all about. Quality – High-quality images are best for optimization. The viewer should be able to look at a clear image with details. RSS feed – Your images should be optimized to facilitate those using RSS feeds from your site. This will allow your visitors to scan through the content quickly. Your image also serves to draw attention to your text content. Create memory – Your images should connect with your site visitors and create a lasting impression so that your visitors will remember your site. People share images that are amazing. If your image is lame no one will be interested. Use images that will surprise and make people laugh. Use standard image formats such as JPG, GIF, and PNG as they are the most used forms of social media. Make use of photo sharing sites such as Flickr, Pinterest, Instagram, Google Photos, tinypic.com, and Photobucket. Flickr is said to help with image optimization for Yahoo. If you want to rank locally and have created a web page dedicated to the local area then you need to use tools to Geo-tag your images as per your location. Also, when you submit your business to Google My Business or Google Maps or any other directory out there ensure you use Geo-Tagged images all around. This boosts your local ranking across search engines and drives local traffic towards it. Images play a vital role in keeping a website alive. They ensure people do more than just browse your website – it allows them to experience it. SEO friendly images that are well optimized will boost site traffic and convert leads. Hope you love the SEO friendly images and do leave your questions, comments, love & hate in the section below. SEO friendly images are vital for small businesses. One way that the small businesses can improve their business website is through images. Images play a vital role in pulling more traffic to a website as well as converting leads. For a nice and surfing around on-line more than Three hours now, nonetheless My spouse and i certainly not discovered virtually any interesting article like the one you have. It is beautiful price tag ample to me. 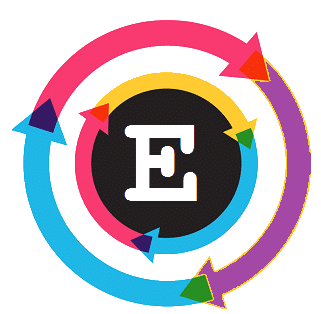 Personally, in the event that many site owners in addition to blog writers made outstanding written content since you have, the web are going to be additional helpful than previously. For a nice and surfing around on-line more than Three hours now, nonetheless My spouse and i certainly not discovered virtually any interesting article like the one you have. It is beautiful price tag ample to me. Personally, in the event that many site owners in addition to blog writers made outstanding written content since you have, the web are going to be additional helpful than previously. I would probably add 1 more. If you have a high resolution image, you could maybe prepare a small (clickable) version for on the page, and a larger version when you click it. That way you will speed up your page, and can still show high res images for people who care. Hi there my friend! I have to say that this particular blog post is awesome, pleasant prepared including around most sizeable infos. I have to appearance more discussions like that how much does seo cost.